do you pick up hitchhikers? nah, the county is paid to pick up the roadside trash. half a second sooner...and she coulda retired! i don't know how she does the things she does. I bet she would not have any trouble navigating the rocks and climbs through NH & ME. Those legs are like coiled steel springs. She'd make me look like I was in reverse thru the Whites for sure. You know it is all impressive, but watching it a second time what really amazes me is how she can do the splits and bounce right up! 'Cause she got bigger thighs than a Runningback! On a scale of 1-10 I'd give her a 20...she's just having so damn much fun struttin her stuff...what an athlete! SNL comes up with the perfect solution. i could get used to burgers like that! Other than perhaps Chief that would be a long trip for dinner, but you are right it does sound really good. I made a pot of minestrone for later in the week and a batch of pasties for tonight. Yummy. Anyone ready to add this tent to their kit? Should have read.....it's not much farther...further....whatever. RIP james ingram 66 y/o. and to make this hiking related, i heard this song quite often on the radio during my thru on the small radio i bought at a drugstore in erwin. lol -- with the dark hair, bangs, and glasses linda ronstadt at the beginning of the video is really putting out a zooey deschanel vibe! The post was edited 1 time, last by max.patch ( Jan 30th 2019, 5:25pm ). given that zooey deschanel was about 5 or 6 years old when that song was recorded, it's more like zooey deschanel was putting on a linda ronstadt vibe. 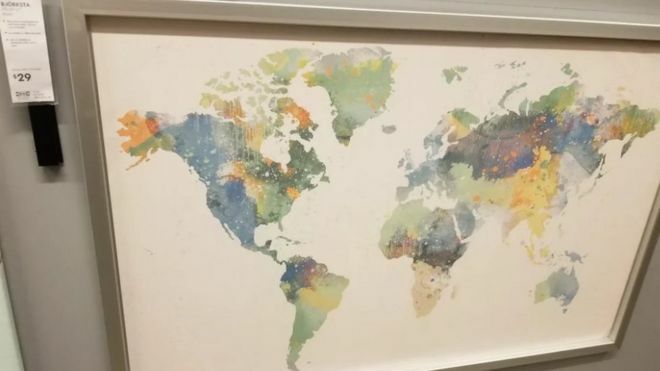 if ya bought a world map from ikea recently -- better check it and make sure they didn't forget to include new zealand. Perhaps just a cost savings move. It's from IKEA. So clearly whoever bought the map failed to assemble it correctly. guy does a backflip in front of a mirror. The post was edited 2 times, last by max.patch ( Feb 10th 2019, 2:39pm ). I was once using a map of Illinois that had a whole fictitious town. In this case it was a map from the mid 1800's and I think the town was platted, but never built. finally! a use for drones. Areal man would use a tennis racket....and good running shoes. Growing up in FL we used to burn the wasp/dirt dabber nests. But of course the house was CBS and stucco, not wood. If it were not for wasps and bumble bee nests, don't know what we'd have done for entertainment when kids...was fun watching my two boys tackle a hornets nest in the neighbors yard....any guesses who won that battle. Impressive, but I think I will stick with reading. 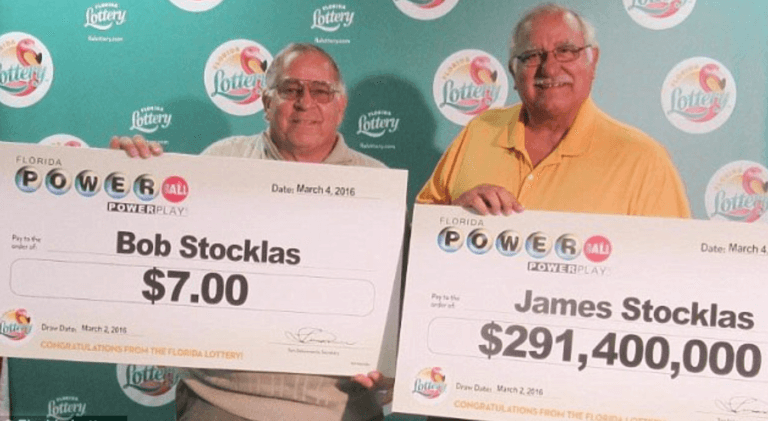 two brothers went fishing, stopped at a convenience store and bought ice and some powerball tickets in march, 2016.
they each had winning numbers. RIP peter tork 77 years old. I'm bummed, looks like I've deleted all my photos from the 100-mile Wilderness hike back in June, or put them in some obscure place I can't find, thought I'd posted a few on here but haven't a clue where. We're heading (driving) to New Orleans tomorrow for Mardi Gras and spending a few days in Nashville on the way back. If anyone has any suggestions, particularly in regard to Nashville or Baton Rouge, I'd appreciate them. Our daughter has prepared an exhaustive excel schedule of what we'll be doing the entire time we're in NOLA. My only assignment was to find a church that we would attend on Sunday and Ash Wednesday. Reason for Baton Rouge is that is where she is flying into and out of and of course, we will be her transportation to and from NOLA. nothing to add about nashville or baton rouge, but i seriously hope you have all your reservations nailed down in nola, the city will be booked solid. also don't expect much from exhaustive schedules, everywhere in nola will be a mad house. on second thought, just stay in baton rouge. they have mardi gras too on a more laid back level. personally i'd stay as far away from nola as possible. it is all a giant tourist trap. The post was edited 1 time, last by chief ( Feb 27th 2019, 2:21pm ).